Neck pain with weak legs is a rather common patient complaint that may be linked to structural issues in the cervical spine, widespread muscular concerns or even mindbody causation. Since both symptoms are disturbing, patients usually fear the worst when stricken with a painful or stiff neck in association with weakness in the legs. This particular combination of neck pain and lower body symptoms might occur simultaneously or in alternating fashion, depending on the specifics of each patient case profile. Being that leg weakness in association with neck symptoms might be indicative of a potentially serious spinal problem, patients are always advised to seek medical evaluation from a neurologist who specializes in the vertebral column. This type of doctor will be able to rule out the most serious potential causes of these types of expressions and refer the patient elsewhere if they suspect muscular or mindbody involvement in the symptomology. This essay takes a detailed glimpse at leg weakness that is suffered in combination with neck discomfort. We will profile the prospective anatomical sources of pain and examine some nonstructural causation theories that may also be responsible for the dual zones of torment. 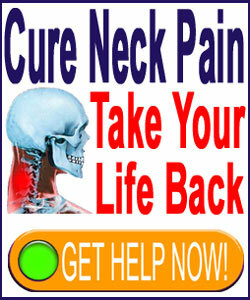 As mentioned above, there are many causes for neck and leg symptoms that exist concurrently or in alternating fashion. Some patients develop both together, while others suffer one painful zone, then suffer migration of their symptomology to include both locations. Symptoms may begin acutely or may develop gradually. In acute presentations, there may or may not be a trigger event that is actually or perceptually responsible for causing the pain. In gradual progressions, there is rarely a known or suspected trigger. Symptom pattern may become chronic if it continues unchecked for weeks or months. Other patients might instead develop recurrent acute episodes of symptoms in one or both affected locations. It is vital for patients to document the development and progression of their neck symptoms in order to assist diagnosticians in ascertaining the cause and best approach to treatment. The more patient-supplied information that can be provided to the doctor, the better the chances that a comprehensive diagnostic picture can be attained; hopefully leading to effective treatment and lasting relief. Cervical spinal stenosis is one of the most logical considerations for any diagnostician. Stenosis in the neck can cause localized pain when the spinal cord is compressed. However, this same event can cause widespread symptoms below the stenotic expression, creating sciatica pain, tingling, weakness or numbness in the legs in many patients. This causation is most often found in the elderly, in those with severely congenitally narrowed cervical vertebral canals and in patients who have suffered acute neck trauma that resulted in injury-related stenotic formations. Muscular imbalances and myofascial pain syndromes might affect both regions for a variety of reasons. Conditions like fibromyalgia can affect large areas of muscle, causing pain and weakness in a diversity of anatomical targets, including the neck and legs. Even widespread structural postural muscle problems can lead to neck pain at one end of the anatomy and weak lower appendages at the opposing end. In some cases, localized injury or degeneration in the lower body can enact weakness in the legs, which may, in turn, influence posture and gait. It is possible that these alterations might cause neck or upper back pain in a minority of patients, due to functional changes in movement and anatomical positioning. 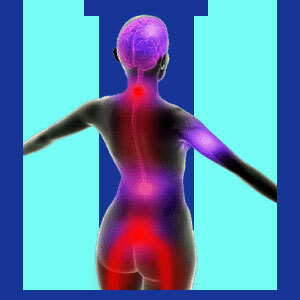 A great many instances of dual symptomology are caused by the interactions of the mind and body. These psychogenic pain syndromes often affect people regionally, causing pain, paresthesia and other expressions throughout the postural muscles and central neurological structures that innervate them. We find that mindbody symptoms are universal in the population and may even become serious and chronic health issues. For more information on this type of pain, I highly recommend reading our articles covering tension myositis neck pain and psychosomatic neck pain conditions. Many spinal structural issues, such as mild to moderate central stenosis, may be innocent of causing the pain, but may be implicated as pathological and treated regardless. In other circumstances, soft tissue pathologies might be deemed causative, when in fact, these are consequences of some alternate source process, rather than its origin. Mindbody pain syndromes are almost never diagnosed, even when the symptoms make little sense from a structural Cartesian perspective. This is because these conditions fall outside of traditional medical provider training and often do not get the attention they justly deserve. All these considerations should encourage every patient to become more active in their own diagnosis and care, researching their options and the logic of any therapy recommendation in exquisite detail before acquiescing to treatment of any type. Not following this recommendation is the major factor that leads to unsuccessful care, failed surgery, and often, complete disability. If the diagnosis can be verified, then the odds of successfully resolving the causative mechanism for pain improve greatly. We would like to see more of this type of positive treatment outcome, but so far, we remain critical of a medical system that seems to overly compartmentalize the human being and ignore the simple fact that pain can come from an extreme diversity of sources; not simply from structural aberrations in the cervical vertebral column.